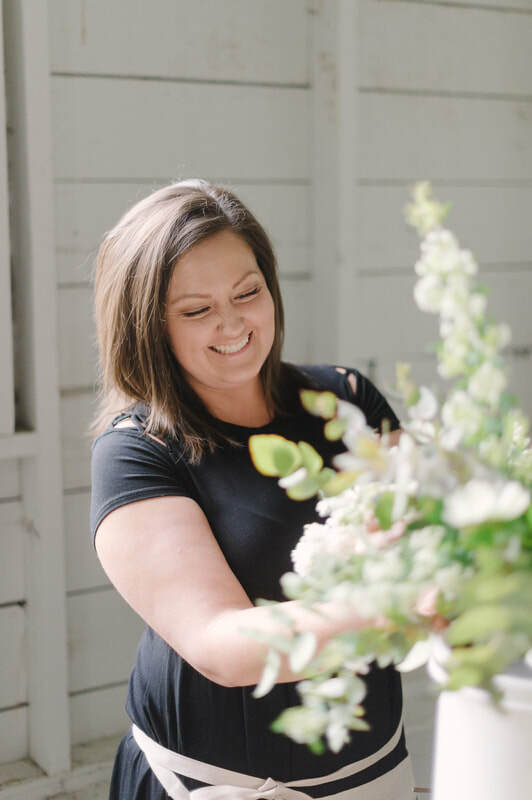 Ali Briskey designs ​ is a studio design company offering everything from standard wedding party needs to elaborate designs & grand installations. Always delivering unique, custom designs full of personality and heart, based around our signature garden style, created just for you. ​Our primary design aesthetic is clean, organic, and romantic, and we would be thrilled to work with you to achieve your dream whatever it may be. We service the Pacific Northwest, focusing mainly on the Willamette Valley to Portland and Bend, but are available for travel! ​ In fact we love it so much that we encourage you to inquire about your destination event. ​ - Freelance services also available and encouraged. Ali Briskey ​owner, designer, Oregon transplant, and lover of the lush Willamette valley. A desert girl at heart, the transformation to truly claiming the PNW took some time, but I now feel blessed to call this beautiful piece of the country my home. The organic beauty surrounding us daily not only inspires me, but quickly finds its way into my work and my cutting garden. Just as your wedding or event should reflect who you are, your flowers should beautifully capture your story, personality and style. From proposal to delivery a true partnership is formed. We will dream, plan and pull from a variety of inspiration, resulting in an evolution that is creative, organic and completely YOU! By the time your event arrives you should rest assured that your floral elements will be all you dreamed of and more. My right hand man and custom construction designer and fabricator. If you have a unique idea, chances are he can build it for your special day! I love that I get to work alongside my love . Whenever I am on site you will most likely see this amazing man nearby. He is the one that helps haul everything around, keeps me safe, makes sure that I am fed, and drives me home when all of my creative energies are spent. I absolutely love putting everything that I have into each event, but if it wasn't for this guy, I wouldn't be able to do what I do.